From the first moment I discovered the company page Bite me Not, I was impressed! Although I am not a fan of desserts,these sweet tiny little things look so delicious and beautiful that provoke you to love and get them all! Do not get confused. There are not real sweets! They’re special jewelry! For this reason I wanted to show all that stuff to you and discuss with Evaggelia Katsimpa and Dora Pilitsidi, the creators of Bite me Not, how did this idea come up, which is the process to create those jewelry and also how they feel being involved in this special art. I enjoyed so much the discussion with them and I realized how much they love what they do. Besides, do not forget that LOVE is always the most important ingredient of success! Zina: Good afternoon girls! Initially, we would like you to tell us how did the idea of Bite me Not get started and how did you learn this art. 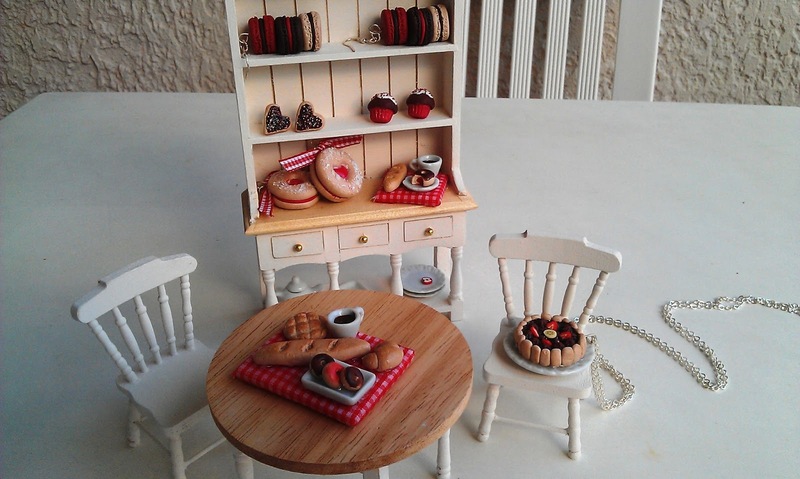 Dora: Well, I started dealing with polymer clay in 2009 or so, which then would be useful in my work (my main profession is a kindergarten teacher), but a failure I had with baking frightened me because at that stage I was not familiar with it, and so I stopped using it for a while. Two years later, Evaggelia watching some random work of foreign artists on the internet, motivated to deal with this material again, as we are both inherently creative. Evaggelia: In essence we are self taught. 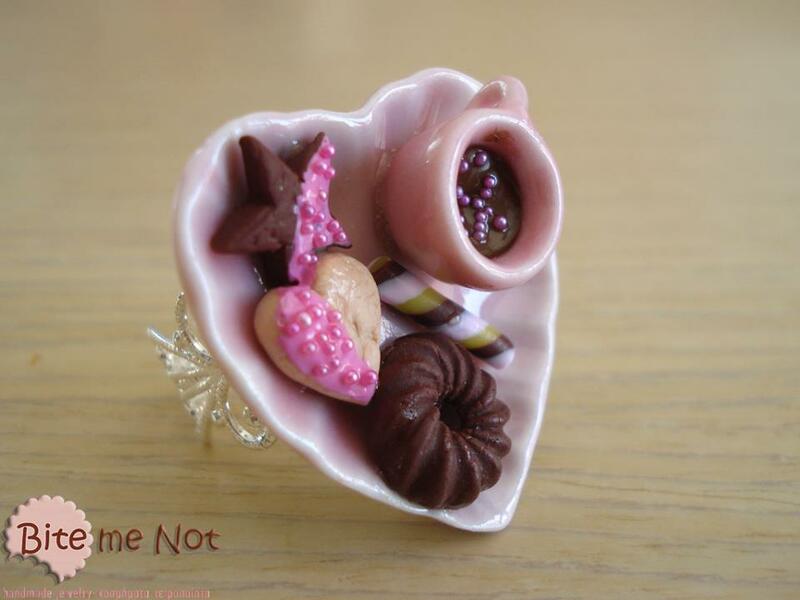 We read many articles about the behavior of polymer clay and the processing techniques and so we started initially as a hobby. Reviews and comments of our friends that were positive, and given the difficulty of finding a job as a teacher, led us to do something more professional, so we created our page on facebook and after some time we prepared and our e-shop. Z: What are the basic materials used to create such a piece of jewelry? D, E: The main materials we use are polymer clay, ceramics and glass and lately we have integrated wood. We are constantly enriching our materials, so as to become more interesting and attractive. Z: Can you describe the process for the creation of jewelry? D: First of all we get together in the mornings usually at our mini laboratory, we make our coffee and we start! We have all the ingredients ahead and envision what we want to create! The important thing is that we ask the opinion of one another for the colors, technique and combinations of materials. E: We follow some basic steps: firstly we give shape in our raw material, then bake our creations and once baked we decorate and photograph them. Z: I guess that it requires special patience and perseverance! E: Patience and perseverance infinite (laughs)! Insist enough in detail and many times we may spoil and fix it from the beginning if we are not satisfied with the result. D: Of course many times our mistakes help us getting better! Besides, as Adams Scott once said "Creativity is letting yourself to make mistakes and Art is knowing which ones to keep"! Z: Really how long does it take -on average- to complete the jewelry? E: It depends on how simple or complex is the design. It may take 1 to 4 days because we use enough liquid materials, many of them takes about one day to dry or fully stabilized. Z: How do you suggest to your clients to combine your handmade jewelry? D: The good thing is that fashion no longer requires the perfect combination of colors and materials. Of course there is no particular age audience that wears our jewelry . Z: What inspires you for your next creation? D: Many visits to patisseries!! E: Yes! 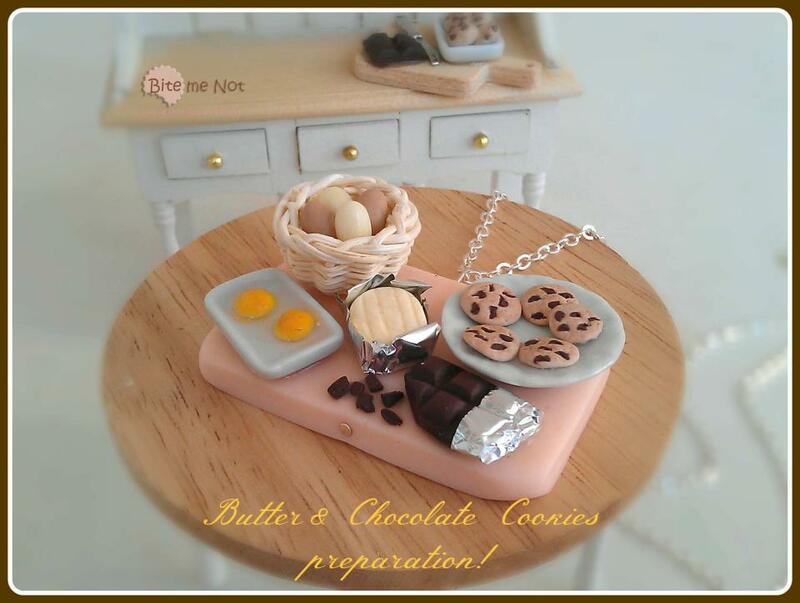 Mainly inspired by the real sweet or create desserts which we would like to have! Z: Why do you think Bite me Not jewelry are unique ? 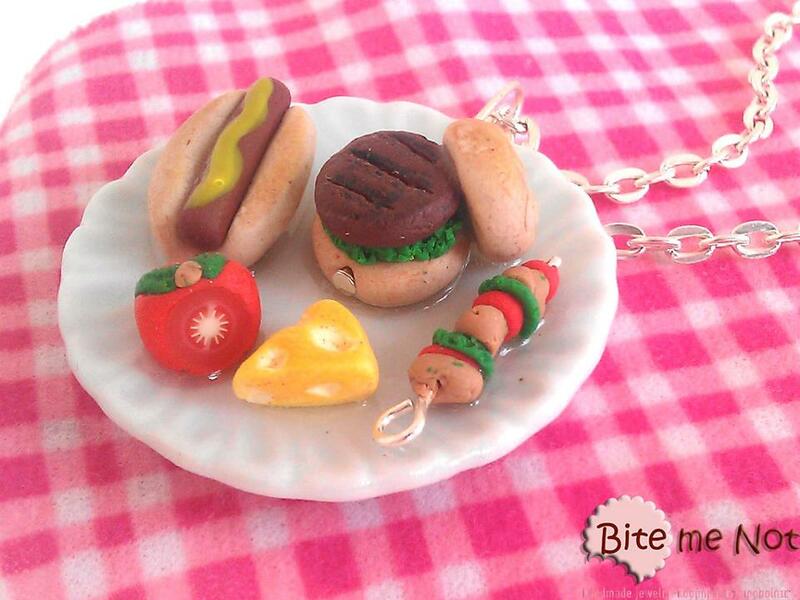 E: The Jewelry "Bite me Not" is an alternative and low cost suggestion, without lacking quality. Z: Impressive actually! What is your favorite piece? I personally love macarons!! D: My favorite piece is the jar with marshmallows because it brings me back memories from my childhood! E: I really find it difficult to choose a particular piece ... I catch myself, whenever we create something new, to think that this one is my favorite! Z: What is the estimated delivery time? D, E: Usually we ship within 2-6 business day . Z: Where can we find you? D, E: If you like our work you can find us in our page on facebook and in our e-shop www.bitemenotjewels.com! Z: Thank you very much for the interview. We wish you great creations!